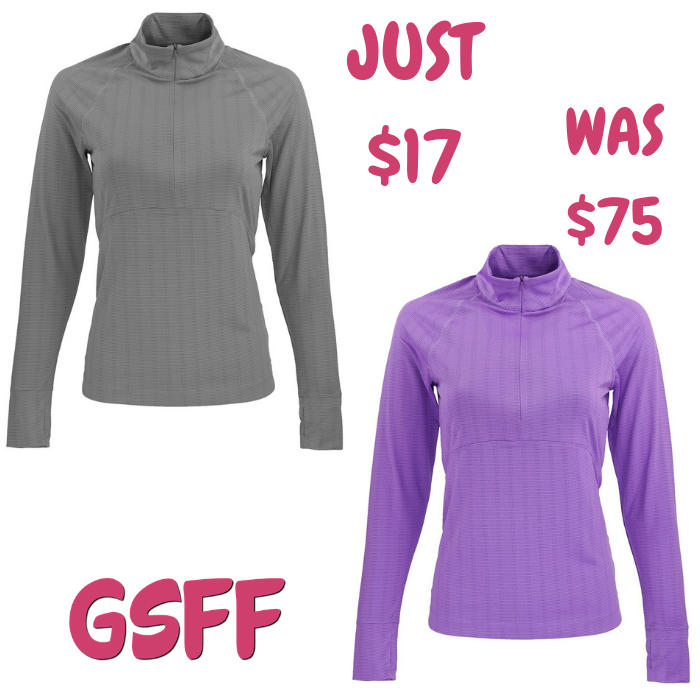 Women's Zip Shirt Just $17! Down From $75! FREE Shipping! You are here: Home / Great Deals / Women’s Zip Shirt Just $17! Down From $75! FREE Shipping! Women’s Zip Shirt Just $17! Down From $75! FREE Shipping! Right now, you can score this Women’s Zip Shirt at Proozy for only $17 down from $75 when you enter promo code PZY17 at checkout! PLUS, FREE shipping! Jazz up your game with the playful jacquard pattern of our CB DryTec Hamden 1/2 Zip. Featuring raglan sleeves with thumbhole cuffs and curved seaming at the waist, the Hamden combines form and function beautifully.